Home/Research/Open Innovation/Open Innovation – Fact or Fiction? This brief report deep dives into startup-corporate collaboration in FinTech/financial sector and sheds light on what’s really happening behind the curtains. The sector talks notably about innovation need and collaboration with startups. Is it just a talk or is the sector truly walking the walk? We looked behind the scenes to see how deep does the engagement go, what can be learnt from the current status quo and how can startups and corporates benefit even more from the collaboration. The report focuses on European banking and insurance world drawing conclusions based on the insights gained from the survey, interviews and industry’s in depth knowledge of the teams of Match-Maker Ventures and Mind the Bridge. It is the outcome of three-months work by various stakeholders covering input from 65% of the European top 20 banks. The quantitative results are based on our own proprietary survey. Survey was targeted exclusively at experts in the fields of innovation and strategy at financial sector corporates, startups and scaleups. Third parties, like accelerators and VC funds, who have great overview of the collaboration in the sector were also engaged. 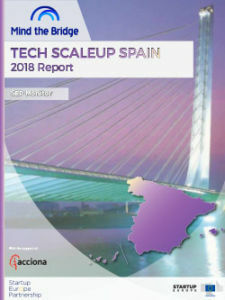 Online responses were gathered from roughly 200 participants from 32 countries – 89 were financial sector corporates, 46 startups/scaleups and 47 third parties.